Ready to take your farm business to the next level? Learn to attract customers and chefs who will pay the prices you deserve so your farm will be financially sustainable. They enjoy farming...or at least they used to. Now, they're swamped with chores, an off-farm job and the constant battle to FIND CUSTOMERS who will PAY the premium prices they need...and deserve. They STRUGGLE WITH MARKETING their farm's products and wonder if they'll ever GET AHEAD financially (sound familiar?). They not only love farming, but they've created a tribe of loyal...almost RAVING FANS. They always have a WAITLIST of customers, and current customers not only pay the farm's PREMIUM PRICES, but CHEERLEAD for them as well. Other farmers look on with envy at how easy they make it look and wonder WHAT THEIR SECRET IS. She knows that her farm isn't a hobby...it's a business. And like Apple, Starbucks, Disney and all great businesses, she knows it's critical to build a brand so that her farm is the first one recalled by consumers, market managers, chefs and retailers. Taking a stand that inspires others, excelling at service & positioning products that the market desires and values. He also excels at using online marketing (web/social media) to connect with customers and create a loyal following. This farm team knows they aren't producing a commodity product. Instead of constantly trying to "sell" they market effectively to create pent-up demand. They create their own market and command prices they need, and deserve. Running a profitable farming business isn't about being a gifted farmer. There are tens of thousands of skilled farmers who struggle to make a living. ​The actual "farming" work, such as breeding, weeding, seeding and feeding accounts for...maybe...20% of what it takes to run a profitable small farming business. 80% of your success comes down to your business and marketing skills. The Small Farm Nation Academy is an online membership community of farmers...just like you. It's your essential resource for the training, advice and support you need to market and grow your farm business! is the best way to master all the aspects of how to market your farm in a way that attracts the right customers...those who recognize and are eager to pay for the value you provide. 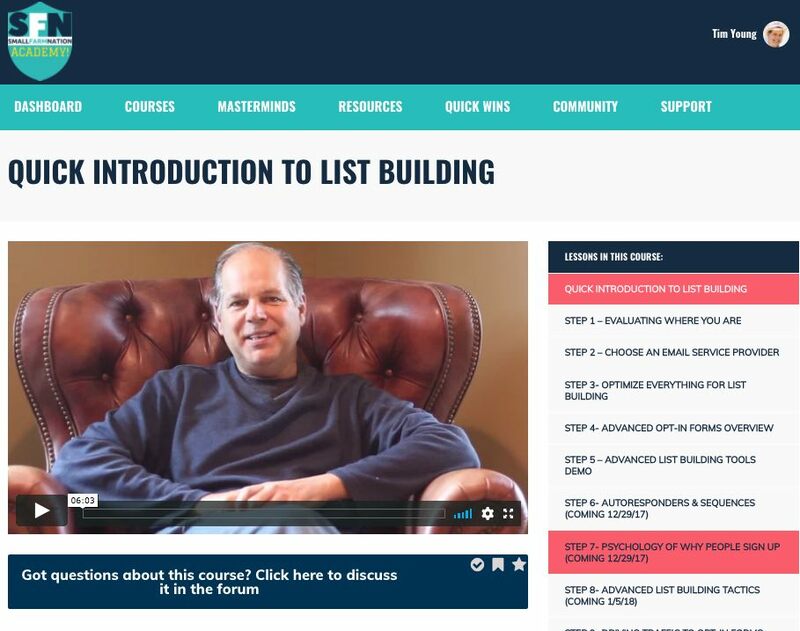 includes step-by-step video training on branding, list building, website development, social media marketing, farm copywriting, getting PR & media coverage, selling to restaurants, go-to-market strategies and more. is not just a one-time course or program! Each month you'll receive a new video training course, and I'll be adding new content monthly to the training library, helping you to stay up to date on farm marketing challenges and opportunities. The Small Farm Nation Academy surpasses every other farm marketing course I've taken! I've loved every video, watching most more than once before I put it into action. Tim's feedback is the best part...it's obvious that Tim wants me to succeed, and THAT's motivating! I particularly loved the lesson on debunking the "ideal customer" myth...it helped me to get unstuck! I see this lifting our business out of a stall. My husband and I are extremely invested and excited about what we've watched and implemented. I originally thought the course would help me with a website. Who knew it was actually a coaching session for my business?! Thank you so much. I After reading Tim's books and hearing his podcast I knew he was a real sharp business person with a heart for helping people. So when the Small Farm Nation Academy opened, I jumped in immediately. I'm finding the courses on marketing just as relevant to my pest control business today as they will be to my future farm business! This is where you will learn and master specific topics that are critical to marketing your farm business. 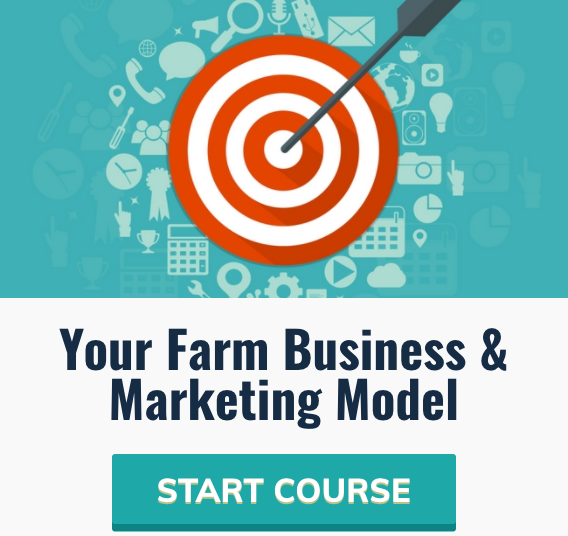 Each module includes several video lessons, downloads and even templates you can complete to nail down your farm business and marketing plan. Social Media Marketing Tactics That Emphasize "Quality" Followers, Rather Than "Quantity"
A Comparison of Go-To-Market Alternatives, Including Direct, Farmers Markets, CSA, Bulk, Wholesale, Restaurants, etc. The forum inside Small Farm Marketing is clean, crisp and allows for focused conversation, robust search capabilities and rich, threaded conversation that simply isn't possible inside Facebook groups. 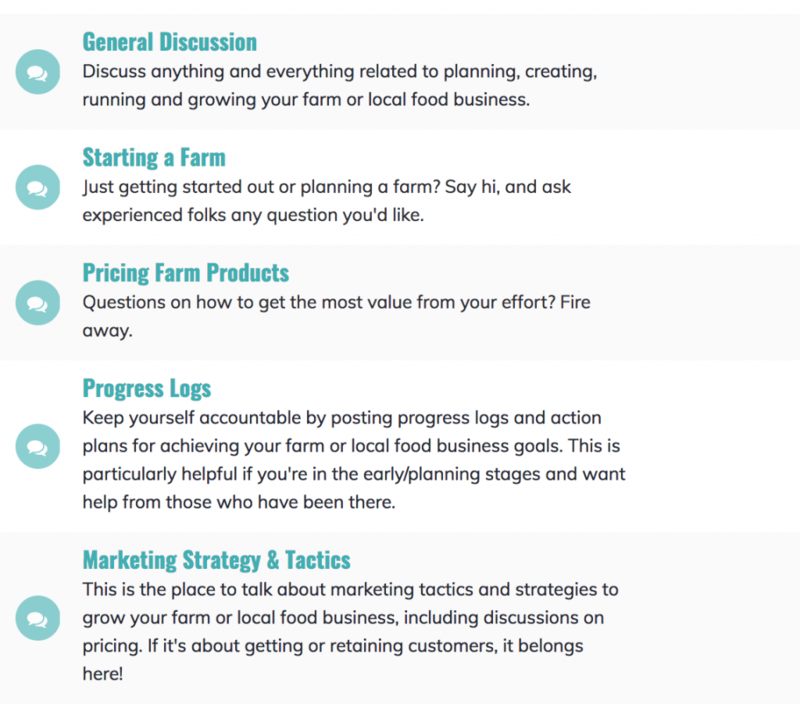 There are even forums to ask for expert feedback on your website, copywriting, pricing challenges or anything else related to successfully building your farm business. 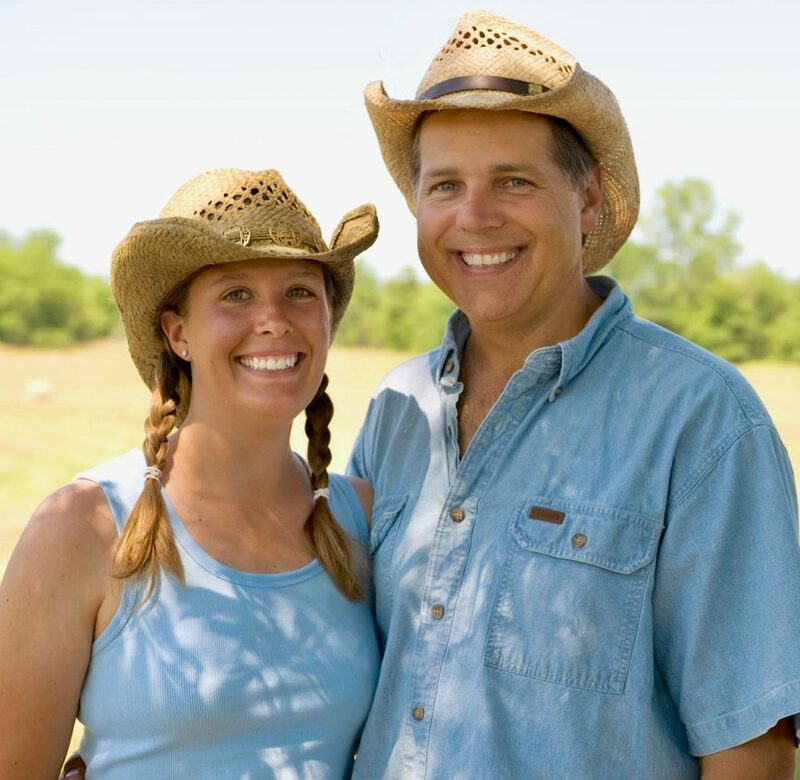 Get advice, feedback, motivation and support from an active community of fellow farmers. Need a quick answer to a tough question? These concise videos address challenges common to farm marketing, such as dealing with price objections, pitching restaurants, quick website tips and more. They'll give you exactly what you need to know without wasting your precious time. Don't miss this chance to have me personally analyze your brand presence and share specific tips and strategies you can use to build your email list, increase traffic and conversion and get more customers. Imagine going to a conference and learning from the best farm marketers around. How they got started, what's worked, what hasn't...how amazing would that be? Well, that's exactly what you'll get inside Small Farm Nation, and all without ever leaving the farm! Monthly interviews & coaching calls to give you the guidance you need to grow your farm business. Best money I ever spent. Tim's knowledge and support are invaluable. I know this is just the business advantage that will set me apart from the competition! Join when you are starting your business, and stay on, to learn as you go, for less than a cup of coffee a day. Would you spend that to get into markets for your carefully raised products? I do. Worth the small price. Tim has put together some great content in short, easy to understand videos that us busy small farmers that wear more than one family hat, can make the time to squeeze in. INCLUDED! 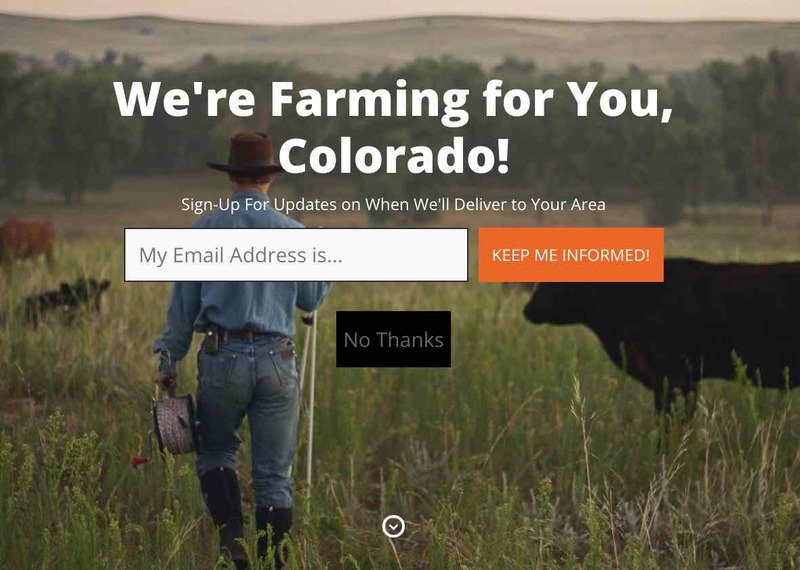 The Last Website Your Farm Will Ever Need! Every Small Farm Nation Academy member gets a modern farm WordPress website with the FarmPress theme. 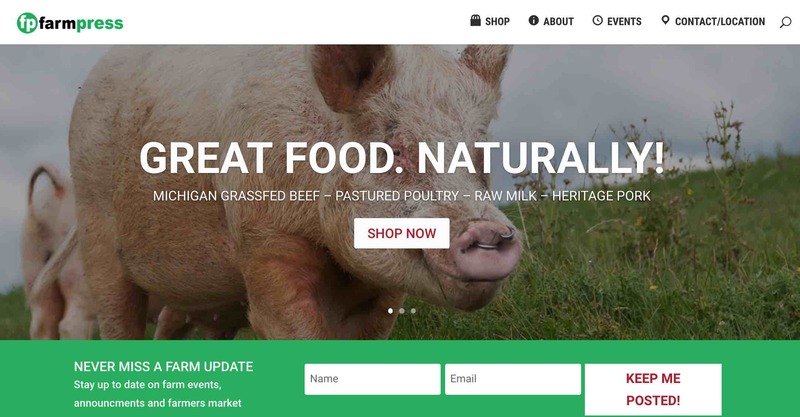 Whether you want to sell farm products online, capture CSA members or just have a sleek, modern website that displays perfectly on mobile devices, you can quickly create the site that’s right for your farm…with FarmPress. Click here for a FarmPress demo! GET INSTANT ACCESS TO THE SMALL FARM NATION ACADEMY! FARMPRESS WordPress farm site with hosting included! 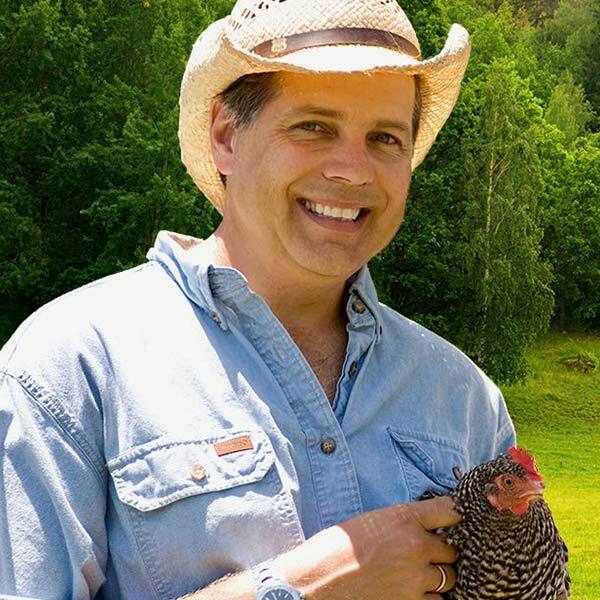 Hi, I'm Tim, founder and creator of the Small Farm Nation Academy, and your virtual farm marketing mentor. 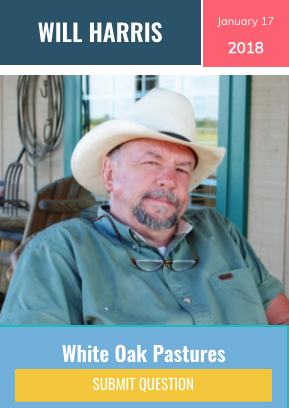 I've authored several books and hosted popular podcasts on farming and self-sufficient living. That's my awesome wife, Liz, in the picture with me. Together we successfully started and grew a diversified livestock farm that was featured by The New York Times, CNN, Garden & Gun Magazine, Southern Living, ACRES USA, Fox News, NPR, RFD TV, The Atlanta Journal Constitution and more. I also built an artisan cheese business that won awards at The American Cheese Society, United States Cheese Championship and the World Jersey Cheese Awards. Over the years our farm's products were sold directly to consumers, featured on the menus of top restaurants & resorts, and carried by Kroger, Whole Foods and other retailers. 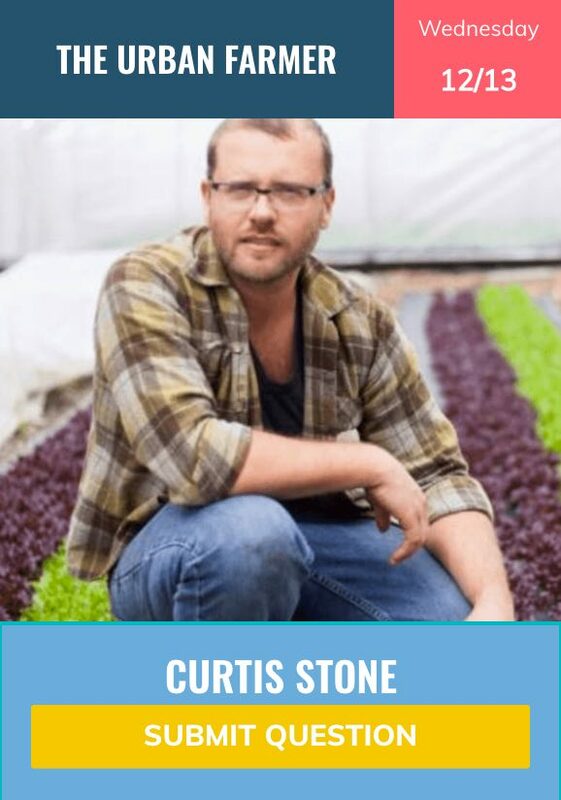 My passion is helping to expand the local food ​movement and helping farmers to succeed with their farming businesses. I'm here to help you grow your farm business! I just want the Academy content...do I have to use the FarmPress theme? Not at all! 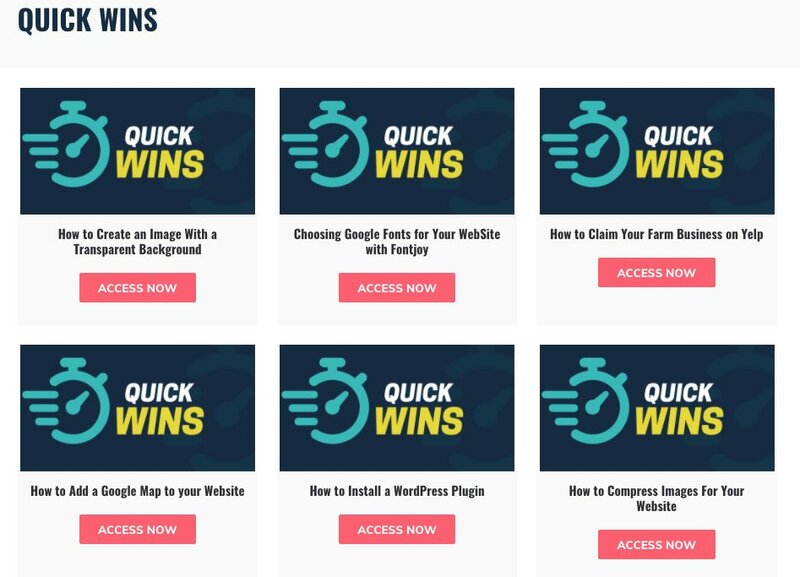 The FarmPress theme is designed to make it super easy to build and manage your site, as well as to grow your email list. But if you love your current site and just want to access the great marketing courses in the Academy, as well as connect with others in the forum, by all means keep your existing site. You're welcome here, and you'll love it! Where can I get details about FarmPress? That's right! You get an awesome, state-of-the-art farm website with your Small Farm Nation Academy membership. And we host the website for you, so there's no extra hosting fees! Guaranteed, you'll have the best website around, farm or no farm. And not just a website, but also advanced tools for email list building and drag and drop web design. Just check out the demos! You can read about all the awesome FarmPress details here. Again, this is all included FREE with your Small Farm Nation Academy membership. May I ask Tim questions? Of course...just as current members frequently do. It's one of the perks that make the Academy so unique. In fact, I'm always available 5 days a week (often more) inside the membership forum to answer any and all of your questions, give you feedback and guide you along the way. And, there's even a "Private Coaching" section of the forum where you can ask Tim private questions about your farm business. One-to-one personal farm coaching included FREE with your Academy membership! I don't know. Is getting customers and growing your farm business worth it? Only you can answer that. But think about it...most training material of this caliber are offered as online courses costing anywhere from $300 to $1,000 for EACH course. And there are many courses already in the Small Farm Nation Academy...almost 80 video lessons already. With Small Farm Nation Academy, there's no obligation to stay. That means you can evaluate the content and, if Small Farm Nation Academy isn't right for you, just cancel. No hassle, no need to "prove" why it wasn't right, no nothing. Look...I created this resource to truly help you in your farming business, so if you don't want to be here, I want to make it easy for you to leave. But to answer the question, YES, I think it's worth it. If you're serious about having a successful, profitable farming business, I truly believe that Small Farm Nation Academy will be your single greatest investment. Is training content available immediately, or is it time released (drip fed)? You get access to everything already inside Small Farm Nation straight away! No waiting for content to be released to you, just jump in and start making use of the training right away. We will be regularly releasing new courses, quick wins and mastermind interviews as well, so your content library will continue growing. I haven't even started my farm yet. Is Small Farm Nation right for me? Absolutely! Believe it or not, branding and marketing happens BEFORE you even have a product, so you'll learn exactly what you need to do in order to get a head start on marketing your farm business. Plus you'll be able to learn from others in the community who have been doing it for years. Can I get feedback on my website? Sure, both from me and from others, if you'd like. Just post in the forum section and I'll provide feedback on how effective your site is at meeting your objectives. I can create the site, but I hate writing copy. Any tips on that? Many in the farming community feel challenged with creating compelling copy, particularly when it comes to their "about" page. But don't worry, this is an area I'm really comfortable in, and I'll be happy to give you some direction in the forum about whatever copy you're struggling with. Plus, there's a course coming on copywriting for farmers, so even more help is on the way! I love all this, but I have a restaurant/landscape business/winery...whatever, but not a farm. Can Small Farm Nation help me? Yes, in many ways. First, FarmPress is a fantastic web development platform that you can use to customize a website for ANY business. Whatever business you're in, you'll learn how to quickly create not only a beautiful site, but one that converts. And that's the goal of any website. 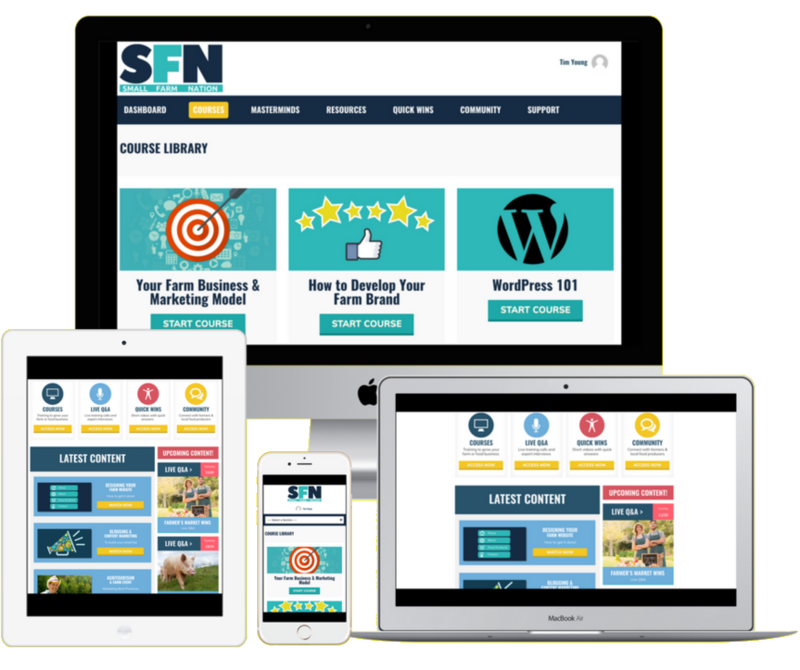 Also, the marketing and business courses in Small Farm Nation are ​applicable to pretty much any business. The core concepts of branding, lead generation, list building, copywriting, small business planning, graphic design, etc., are universal across small businesses. Well, dang it! Obviously I'd love it if all of members continued participating actively forever - but I know that that's not going to happen. So, if you do decide to cancel I'll miss you...all members will, but if you'll be able to cancel with just two mouse clicks and have no further obligation. You mean I can get the content and cancel right away? Yep, if that's what you want to do. 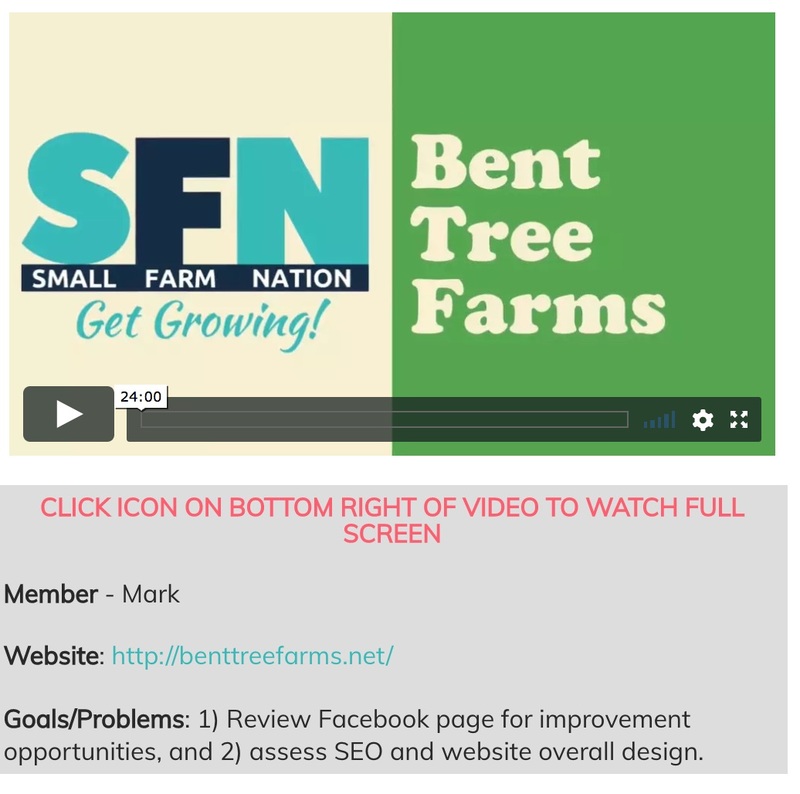 You'll instantly have access to everything inside Small Farm Nation. But, if you do cancel, you'll no longer be able to access the community of members, access the training library or benefit from the additional materials added each month. You'll also lose access to the member discounts and resources. So stick around and help make this community great! How is this different from the Facebook Groups I follow? Oh, lots of ways, since Small Farm Nation is largely a learning environment. One way it's different is that there are lots of very comprehensive courses within Small Farm Nation. Video lessons that allow you to track progress, along with downloads and templates to help you apply what you learn. It's also different in the sense that there are monthly, focused webinars/mastermind calls that will help you grow your farm business. Then there's the resources...discounts for top-tier farm partners, such as Jeffers Pet, Premier-1 fencing, Coolbot, Hoss Tools, Fertrell, Moyer Hatchery and more. Those discounts alone can easily pay for your membership. And, while you can connect and talk with others in Facebook Groups, it's notoriously difficult to find information and get the answers you're looking for. Our rich forum capabilities allow you to easily scan the threads you're interested in and drill down to the topic you're looking for. If you don't find it, searching the forums is easy. Will new content be added monthly? Absolutely! New content to help you grow your farm business will be added to the Academy each and every month! Will you charge extra when you release new courses & content? When you sign up, not only are you locked-in at your initial rate for as long as you remain a member, you also get access to all future courses, Quick Wins, downloads and mastermind calls as part of your membership. With comprehensive new courses and calls being released at least monthly, the value of your membership will only increase over time. Charging you more when you've already subscribed just doesn't make sense to me. I don't know why other memberships do it! Tim's feedback helped me focus on what needs to be done and the steps I need to take to get there--all before even following the first course. His knowledge and desire to help his fellow farmer shines through!been extremely impressed with the content of the academy! I have been extremely impressed with the content of the academy. Lots of answers I couldn’t seem to find elsewhere and stuff to inspire you to step back and take a professional look at your goals and overall business. For anyone on the fence, this is a great path to success. Do it! The courses in the Small Farm Nation Academy have already given me valuable business information and have helped me lay the solid foundation that my farm business has been lacking. GET INSTANT ACCESS NOW TO THE SMALL FARM NATION ACADEMY!